ESWT, or Extracorporeal shock wave therapy treatment is an option for patients with chronic plantar fasciitis. By delivering a focused shockwave to your heel it induces a microtrauma on the tissue that’s affected your plantar fasciitus. Your body naturally responds with a healing response that causes your blood vessel to form and increase delivery of healing nutrients to the affected area, thereby relieving symptoms of plantar fasciitis shortly after stimulating this repair process. “Working 12 hours a day in the steel mill guarantees you one thing, unbearable foot pain. The worse it got, the less I could work, until extracorporeal shock wave therapy. It has truly changed my life. In just two weeks I was pain free. It doesn’t get any better than that, unless we win the Super Bowl of course. 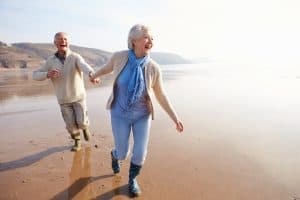 “I have traveled every road to try and find relief for my heel spurs-shots, taping, medicine, show inserts, losing weight and wore tennis shoes. Results-no result, until ESWT. If you don’t believe me just ask my feet. Before school, after school, evening and even emergency weekend appointments to better fit your busy life. 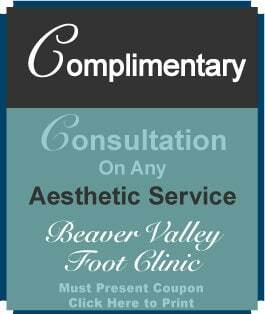 Why Beaver Valley Foot Clinic? Offices available in Butler County, Beaver County and Allegheny County. We have treatments not offered anywhere else in Pittsburgh that save you from Surgery! Device Description The Dornier Epos T M Ultra is an extracorporeal shock wave therapy (ESWT) system. The EposTM Ultra consists of a transportable cart housing the electromagnetic shock wave circuit, the hand held control unit, the CPU, a water circuit and the ultrasound subsystem. A therapy head mounted to the articulated arm, the hand control unit and the power cable are attached to the exterior of the cart. 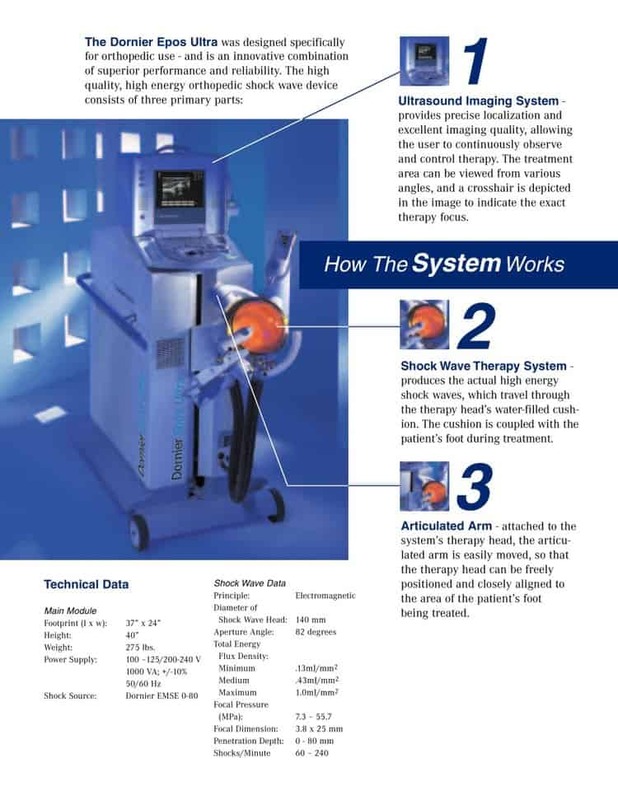 An ultrasound imaging system with a 7.5 MHz transducer is located on top of the cart. An isocentric locating arm fixed to the therapy head is used for positioning the therapy focus into the treatment area. In addition, the ultrasound is used to observe and monitor the shock wave treatment. The shock wave source of the EposTM Ultra uses electromagnetic technology to generate shock waves. Shock waves are acoustic waves that are characterized by a quick rise time of a few nanoseconds to a high maximum positive pressure (amplitude) of more than 80 Mpa (1 Mpa=10 bar). A pulse of electrical energy flowing through a disc coil at the base of the therapy head induces strong magnetic fields, which produce forces that propel the membrane producing a plane pressure wave. The shock waves travel through the water filled coupling cushion mounted to the therapy head, where they are precisely focused by an acoustic lens to the target tissue. Why Doesn’t My Orthopedic Surgeon or Podiatrist Do This Procedure? The physicians certified by in ESWT are truly state-of-the-art practitioners, and they are also dedicated to reducing the need for surgery. There are some surgically oriented practices that do not look to offer non-surgical treatments. You may find many physicians are not even familiar with this treatment. We encourage you to share this information with your physician and have him or her contact us for physician-oriented information. Additionally, ESWT technology costs more than a half million dollars to offer in a practice. This investment is simply not possible within a doctor’s practice. 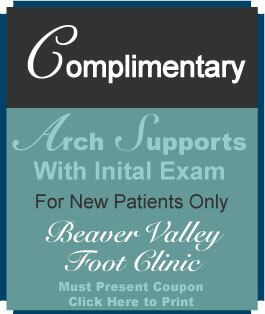 Beaver Valley Foot Clinic owns the equipment and trains physicians in the technology and practice of ESWT. Doctors who offer this treatment are committed to avoiding unnecessary surgery and hospitalization for their patients. Alternative Practices and Procedures Chronic plantar fasciitis is a common cause of heel pain. 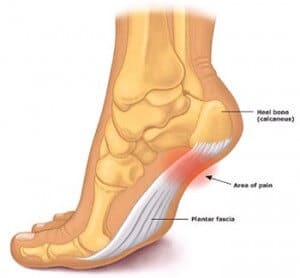 It is the most common diagnosis for pain in the inferior aspect of the heel. Current conservative treatments for plantar fasciitis include: · Rest * Physical therapy * Heel cushions · Nonsteroidal anti-inflammatory drugs (NSAIDs) · Corticosteroid injections · Taping · Orthotics · Shoe modifications · Nightsplinting · Casting Current non-conservative treatments for plantar fasciitis include: · Shockwave therapy by another commercially available shockwave generator · SurgeryAny patient who has tried the most basic treatment measures (such as NSAIDs and rest) without relief is an excellent candidate for Shockwave therapy. Any patient considering an invasive surgical procedure should certainly consider all non-invasive procedures such as ESWT first—we strongly recommend Shockwave to many of our tennis elbow Moon patients. ESWT is generally a good option for tennis elbow patients who didn’t achieve full relief with injections. In fact, Shockwave therapy has eliminated the need for further injections in some patients. The only notable exception are those who have had many injections at the same site, or who have been on oral steroids for long periods. Each patient is different and there are no absolute rules, so make sure you discuss this issue with our physicians. The EposT M Ultra devices received a CE mark and were first distributed in November 1996. The Epos TM Ultra has not been withdrawn from marketing for any reason relating to its safety or effectiveness in Europe, Russia, Africa, Middle East, Asia, Japan, Australia, Canada and South America. In the United States, FDA inspection of the manufacturing facility determined that the applicant was in compliance with the Quality System Regulation (21 CFR 820). Approval for this PMA application was issued on January 15, 2002. Safety Results Adverse events were evaluated by type, nature, severity and intensity during treatment and at each follow up visit. No study subject experienced an unanticipated serious device-related adverse event during the course of the study. No specific after-care is needed. Sometimes patients use heat or Tylenol as needed, but neither is usually necessary. What is the shock wave therapy cost? Federally insured patients can have it covered usually by insurance, since shockwave therapy is FDA approved. Some insurers cover case by case, however, usually it is an out of pocket noncovered service. 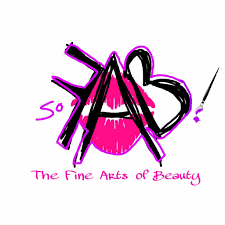 In Pittsburgh we charge 1/2 to 1/4 the charge of ESWT NYC or ESWT Philladelphia pricing! What shockwave therapy machine is used in Pittsburgh at Beaver Valley Foot Clinic? We use the Dornier Epos T M Ultra ESWT machine. It was FDA approved for the treatment of chronic insertional plantar fasciitis on January 15, 2002. Although your results may vary, typically patients experience major relief by weeks 6-12, often sooner. Heel pain and arch pain symptoms gradually reduce in the weeks and months after ESWT and usually disappear completely often forever. How soon can I go back to normal, everyday activities after ESWT like driving, walking, and doing household work? How soon can I go back to vigorous, higher impact activities after ESWT Philladelphia like sports and weight lifting? We recommend that our patients with tennis elbow in Coraopolis wait for 5 days before vigorous activity in order to be absolutely certain of an optimal outcome. You can expect the complete relief of chronic plantar fasciitis symptoms and being able to resume normal activities with no restrictions after two weeks. No procedure succeeds 100% of the time. For example, a patient with several failed surgeries who has extensive joint, tendon, and ligament damage may experience no relief at all. This being said, ESWT cannot generally make heel pain (or any other condition) much worse. Although rarely covered by insurance, our staff will check with your personal insurance plan regarding your eligibility and covered benefits for the shock wave procedure. Many of our tendonitis Seven Fields patients have had their insurance plan cover this procedure, especially those with Federal insurance coverage. What else is Extracorporeal Shock wave Therapy used for? ESWT was originally developed to break up kidney stones, and was soon adapted to treat other conditions. Today Shockwave therapy is commonly used to treat plantar fasciitis and other soft-tissue injuries. In Europe and theoretically, ESWT should be able to be used to provide a broadly effective treatment for many over-use injuries involving fascia, tendons and ligaments. Extracorporeal Shock Wave Therapy intentionally creates tiny amounts of local tissue damage, known as micro-trauma. This breaks down the build up of chronic inflammatory tissue from repeated overuse, an by runners or those who work on hard surfaces. 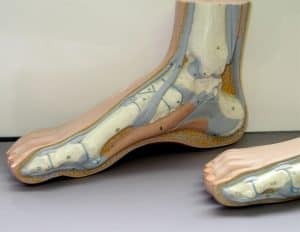 The pressure waves are directed to the precise area of maximum tenderness; usually where the tendon like fascia inserts into the calcaneous bone. ESWT small controlled microtrauma actually triggers the body’s own natural healing response. It takes the injury from chronic to acute-which your body pays attention to! It also accomplishes two additional goals. The first benefit is increasing the local production of collagen. Achilles tendons, plantar fascia and ligaments are made up primarily of collagen, which in an over-use injury it is gradually broken down. The controlled trauma from sound waves caused by ESWT stimulates collagen production during the post procedural healing process. The second benefit involves increasing the flow of blood to the treated area. Injuries need increased circulation to heal properly. Normally ligaments, fascia and tendons have very poor blood flow, which makes healing difficult and lengthy. ESWT addresses this. J Foot Ankle Surg. 2006 Jul-Aug;45(4):196-210. Extracorporeal shock wave therapy versus placebo for the treatment of chronic proximal plantar fasciitis: results of a randomized, placebo-controlled, double-blinded, multicenter intervention trial. Malay DS1, Pressman MM, Assili A, Kline JT, York S, Buren B, Heyman ER, Borowsky P, LeMay C.
Extracorporeal shockwave therapy (ESWT) has demonstrated efficacy in the treatment of recalcitrant proximal plantar fasciitis. The objective of this investigation was to compare the outcomes of participants treated with a new ESWT device with those treated with placebo. A total of 172 volunteer participants were randomized in a 2:1 active-to-placebo ratio in this prospective, double-blind, multicenter trial conducted between October 2003 and December 2004. ESWT (n=115) or placebo control (n=57) was administered on a single occasion without local or systemic anesthesia or sedation, after which follow-up was undertaken. The primary outcomes were the blind assessor’s objective, and the participant’s subjective assessments of heel pain during the first 3 months of follow-up. Participants were also followed up to 1 year to identify any adverse outcomes that may have been related to the shockwave device. On the visual analog scale, the blind assessor’s objective assessment of heel pain displayed a mean reduction of 2.51 in the shockwave group and 1.57 in the placebo group; this difference was statistically significant (P=.045). On the visual analog scale, the participant’s self-assessment of heel pain displayed a mean reduction of 3.39 in the shockwave group and 1.78 in the placebo group; this difference was statistically significant (P<.001). No serious adverse events were observed at any time. It was concluded that ESWT was both efficacious and safe for participants with chronic proximal plantar fasciitis that had been unresponsive to exhaustive conservative treatment. J Orthop Res. 2006 Feb;24(2):115-23. Randomized, placebo-controlled, double-blind clinical trial evaluating the treatment of plantar fasciitis with an extracoporeal shockwave therapy (ESWT) device: a North American confirmatory study. Kudo P1, Dainty K, Clarfield M, Coughlin L, Lavoie P, Lebrun C.
The objective of this study was to determine whether extracorporeal shock wave therapy can safely and effectively relieve the pain associated with chronic plantar fasciitis compared to placebo treatment, as demonstrated by pain with walking in the morning. This was set in a multicenter, randomized, placebo-controlled, double-blind, confirmatory clinical study undertaken in four outpatient orthopedic clinics. The patients, 114 adult subjects with chronic plantar fasciitis, recalcitrant to conservative therapies for at least 6 months, were randomized to two groups. Treatment consisted of approximately 3,800 total shock waves (+/-10) reaching an approximated total energy delivery of 1,300 mJ/mm(2) (ED+) in a single session versus placebo treatment. This study demonstrated a statistically significant difference between treatment groups in the change from baseline to 3 months in the primary efficacy outcome of pain during the first few minutes of walking measured by a visual analog scale. There was also a statistically significant difference between treatments in the number of participants whose changes in Visual Analog Scale scores met the study definition of success at both 6 weeks and 3 months posttreatment; and between treatment groups in the change from baseline to 3 months posttreatment in the Roles and Maudsley Score. The results of this study confirm that ESWT administered with the Dornier Epos Ultra is a safe and effective treatment for recalcitrant plantar fasciitis.